I showed the rough mock ups to my sweetie and we had a good discussion about layouts, margins, the foibles if printer technology and the strange land of American sizing. We come from a land of the A1, A2, A3, A4 etc system and American sized paper seems so mysterious and arbitrary. I know printers in Australia use or cut down paper within the A system, all neatly stackable. I assume places like kinkos work of American letter, but what do printers who use more than glorified photocopiers use? Anyhow, this discussion got me thinking about different formats and sizes, which lead me to this mockup. It’s concertina shaped. 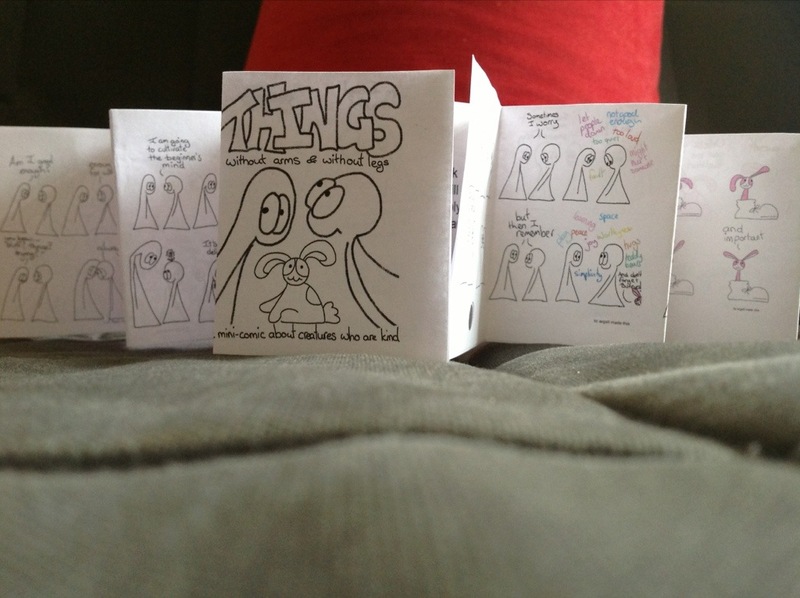 No staples, less fiddly margins and allows me to add two extra comics!! !